The Ideal Opportunity For You! Crepe Delicious is an upscale and healthy option to traditional fast food. People are often surprised and delighted when they come across one of our unique creperies in a mall or on a busy street corner in their local community! Everyone loves crepes. Crepes simply make people smile – no one can resist the aroma of sweet and savory crepes being made fresh on a warm griddle or pass up the occasion to watch as the crepe batter is spun over the griddle and warmed to perfection. Looking for the ideal franchise opportunity? Become a part of something special. Become a part of the Crepe Delicious family and help make people smile. Our signature crepe has only 170 calories and 3 grams of fat, and can be filled with fresh fruits and vegetables, cheeses, and lean meats to create a healthy and well-balanced meal. 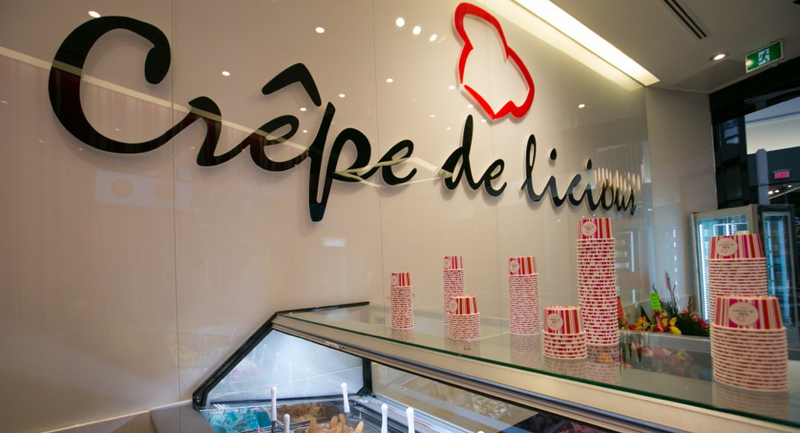 All of our crepes are prepared fresh and made-to-order in full view of our valued customers. All fruits and vegetables are cut fresh every morning. Established in 2004, Crepe Delicious quickly earned the respect of customers, suppliers, partners, and landlords alike. We are now pursuing an extensive expansion throughout the Continental United States, leveraging the best practices from our top performing locations to grow our overall bottom line. We have sourced our construction and equipment costs well below market prices without forfeiting any quality. Since we use relatively low-temperature griddles, expensive exhaust systems and ovens do not need to be installed. Due to the simple nature of the Crepe Delicious concept, both our food and labor costs are less than industry averages. We relentlessly invest in building our brand. Through our recently updated website, a new logo design, new branding elements, and updated promotional materials, we are continually striving to communicate a clean, contemporary, and fresh image to our customers. Clean menu boards and digital signage, branded retail items, public relations and social media campaigns, and monthly features are many of the elements used in communicating with our customers. If you agree that our upscale and healthy meal option offers an ideal franchise opportunity, complete our online application today to get the discussion process underway.